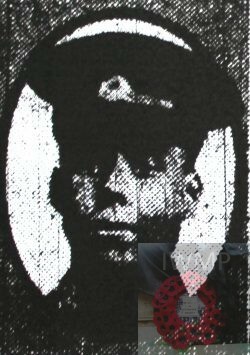 Died: 18th September 1918; age 23; KiA. Served 2 years & 5 months. Residence: 17, Wilberforce Street, Ipswich. Employed: as a Labourer for Great Eastern Railways, Ipswich. Joined the company on the 3rd April 1915. Relatives Notified & Address: Only son of Charles & Sarah Adams, of 17, Wilberforce Street, Ipswich. 1901 17, Wilberforce Street, Ipswich. Ernest was 5 years old and living with his parents & sister. Charles Adams, 39, a Carpenter, born Woodbridge, Suffolk. Sarah Adams (nee Fry), 39, born Greenwich, Kent. Eveline Maud Adams, 13, Ipswich. 1911 17, Wilberforce Street, Ipswich. Ernest was 15 years old and living with his parents & sister. Charles, 51, an Undertaker’s Assistant for a Funeral Furnishers. Soldiers’ Effects to Charles Adams – father. Ernest is also remembered on the Great Eastern Railway war memorial, Liverpool Street Station, London, and on the war memorial at St. Matthew’s Church war memorial.